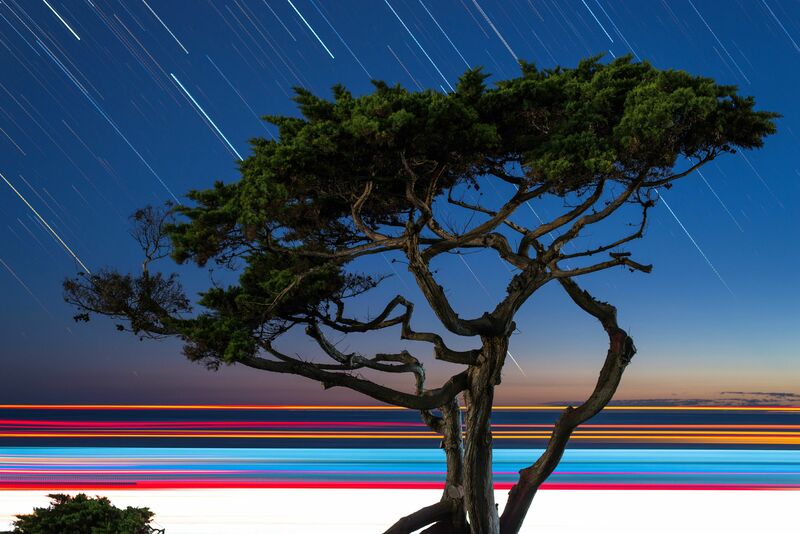 Andrew P. Foote snapped this composite shot along a busy road. He removed the airplanes, but didn’t want to bother with the cars, which created a peculiar medley of streaks across the horizon and actually made the image more distinct. I like the shot. The 50mm is a lens I don’t have and I will finally get one.